Hello, and welcome to our daily round-up of key stories from pharma and beyond. Novartis has been forced to explain its actions after it emerged this week that the company paid Donald Trump’s lawyer Michael Cohen $1.2m to advise it on possible health reforms. Cohen has been under criminal investigations for months because of his business dealings, and is also in a legal battle with Stormy Daniels, the adult movie star who claims Cohen paid her $130,000 to stay quiet about a sexual encounter she had with Trump. Daniels’ lawyer Michael Avenatti released documents showing AT&T and Novartis had both paid Cohen large sums of money for consultancy, with the Swiss pharma giant hiring him shortly after Trump entered the White House in January 2017. Novartis says in a statement that it was seeking advice on how Trump might reform the Affordable Care Act, and paid Cohen’s firm $100,000 a month for a year. 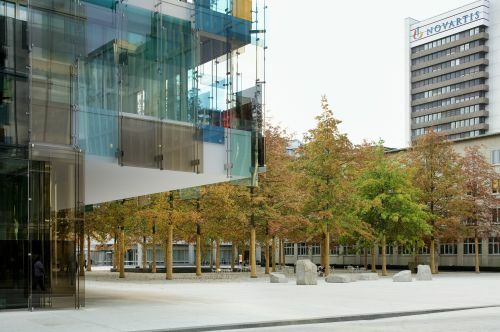 However, Novartis claims it swiftly terminated the relationship once it became apparent that Trump’s lawyer couldn’t advice on healthcare issues – but couldn’t terminate the contract early. The company has been left red-faced by the incident, finding itself entangled in the Cohen’s world of allegedly criminality, and confirmed it has even fielded questions from Robert Mueller’s ongoing probe. 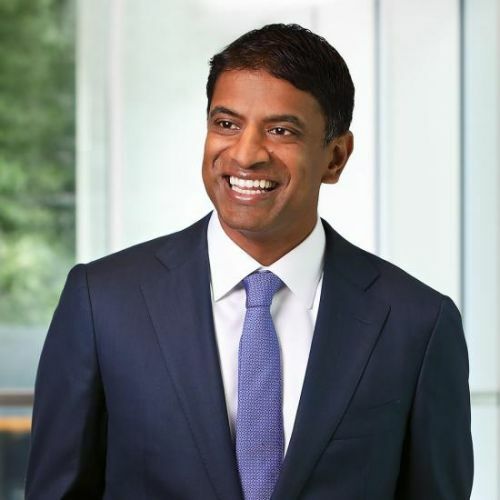 Novartis was also at pains to distance new CEO Vas Narasimhan (pictured below) from the payments, saying the decision to hire Cohen happened before he took the role earlier this year. Nevertheless, Narasimhan did meet with Trump in January 2018. The government unveiled plans to improve children's mental healthcare in England in December, including limiting waiting time to four weeks and providing children with access to mental health support in schools. However, a new report from MPs accuses the strategy of being ‘unambitious’, and says it provides no help to most of the children who need it, and warns of cuts to services. Faron Pharmaceuticals has suffered a major blow after its lead candidate drug traumakine failed in a pivotal phase III trial. The Finland-based, London-listed company is developing the drug for acute respiratory distress syndrome (ARDS), a rare but often fatal inflammation of the lungs, which had been tipped for great success after encouraging phase II trials. However, top-line data from its phase III INTEREST trial showed traumakine failed to meet the primary efficacy composite endpoint of improving ventilator-free days and survival compared to placebo. The company’s share price tumbled by more than 80% when the results were announced on Tuesday, but has now made up some of its losses. "We are incredibly disappointed and surprised by these results. 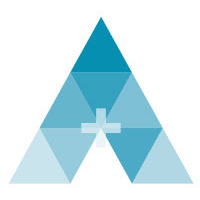 We need to further analyse the data in order to understand how this study differs from our previous positive results with ARDS patients, both in terms of traumakine's efficacy, and in the unusually low mortality rate observed in the placebo arm,” said Dr Markku Jalkanen, CEO of Faron. He said results from a Japanese study, available in Q3, could yield more encouraging results, and confirmed the company would consider how best to advance traumakine in clinical development. The company has a second drug, cancer candidate Clevegen, a novel anti-Clever-1 antibody, which enters clinical trials later this year. We need a fix for cancer drug prices – could an algorithm be the answer? A major new study published in Nature Reviews calls for a ‘global revolution’ in the pricing of new cancer drugs – and claims an algorithm could turn what some see as the industry’s dark art into a science. The paper, titled Sustainability and affordability of cancer drugs: a novel pricing model, is written by Professor Carin Uyl-de Groot and Professor Bob Lӧwenberg from Erasmus University Rotterdam in the Netherlands, and says an algorithm they have developed could set prices for innovative cancer treatments with ‘a maximum level of transparency’. They say the algorithm takes into account the actual costs of R&D, manufacturing, sales, marketing and a fair profit margin based on the clinical benefit, and then finally produces a reasonable price for each cancer drug. As an example, the algorithm recommends a price of $3,094 for each course of Pfizer’s prostate cancer drug Xtandi – much lower than the current UK list price (almost 12 times higher at $36,288) and the US list price, almost 28 times higher ($88,704). Another drug price sampled was Novartis’ myelofibrosis treatment Jakavi. The algorithm judges that a fair price would be $17,251 per treatment, far below the UK ($59,760) and US ($90,000) list prices. Read the paper in full here (subscription required).